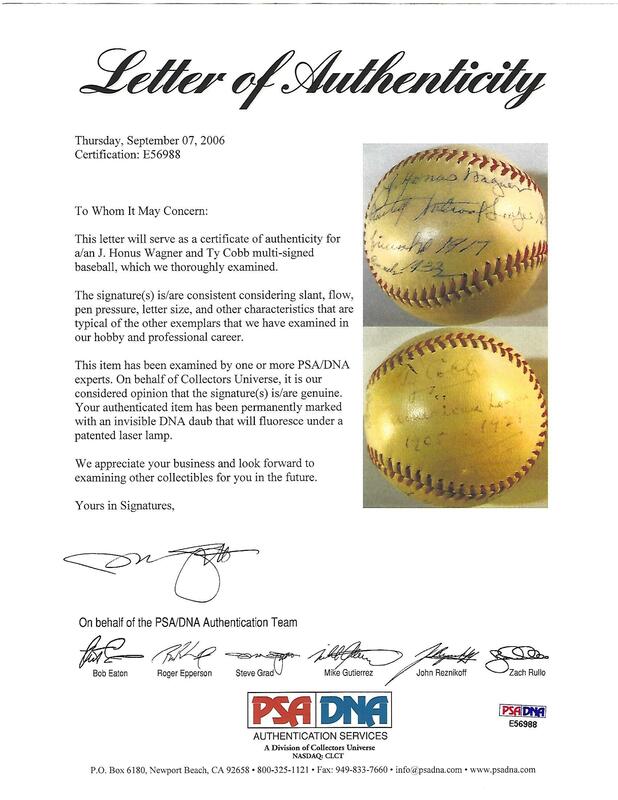 A truly amazing piece of memorabilia is offered here paying homage to two baseball immortals who were not only contemporary rivals for the greatest player of their era, but still stand as rivals today in any debate as to the game’s greatest of all time. 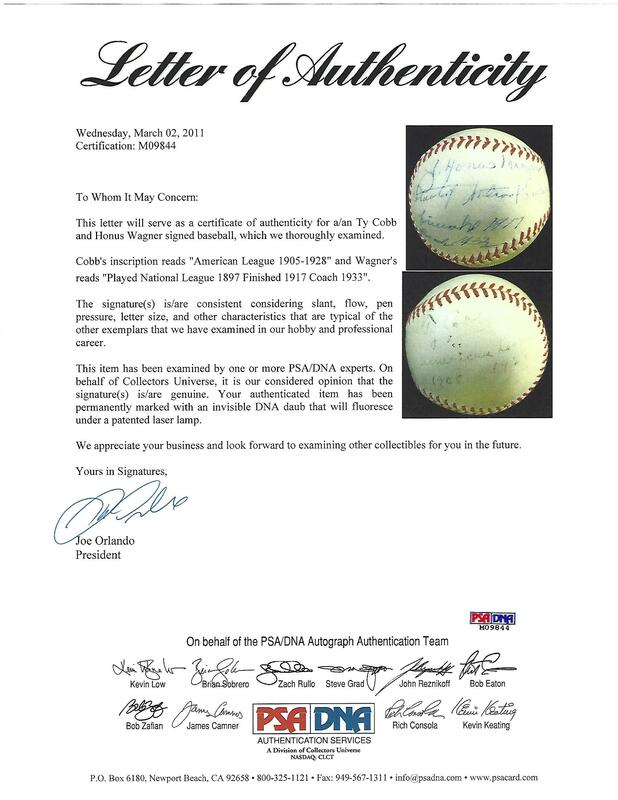 This remarkable ONL (Frick) baseball is signed by Honus Wagner and Ty Cobb and bears their scarce additional notations. To the left of the sweet spot Honus Wagner has signed "J. Honus Wagner Played National League 1897 Finished 1917 Coach 1933." Ty Cobb appears on the panel above adding "Ty Cobb American league 1905-1928." 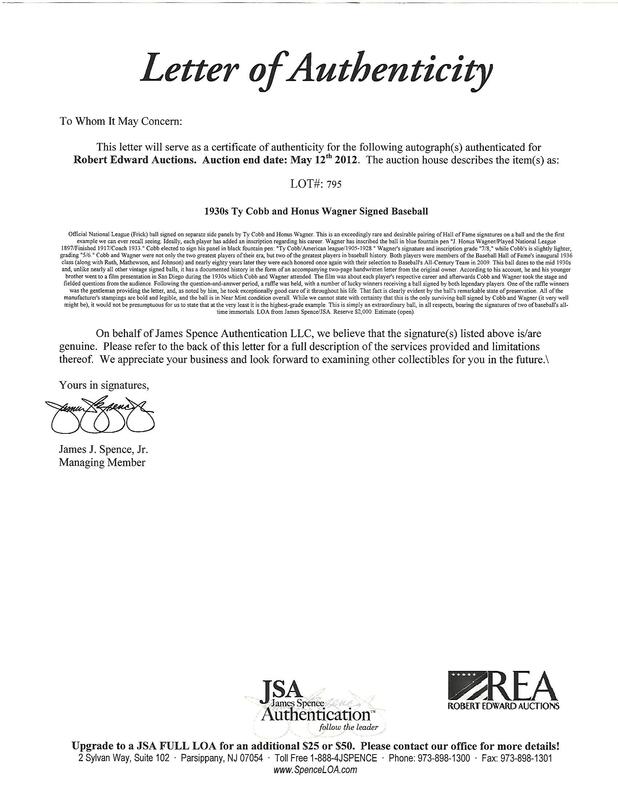 Wagner's vintage blue ink steel tip fountain pen signature and inscription rate a strong 7-8/10. Cobb's rates a very readable 6/10. The ball itself is exceptionally clean, blemish-free and slightly off-white. 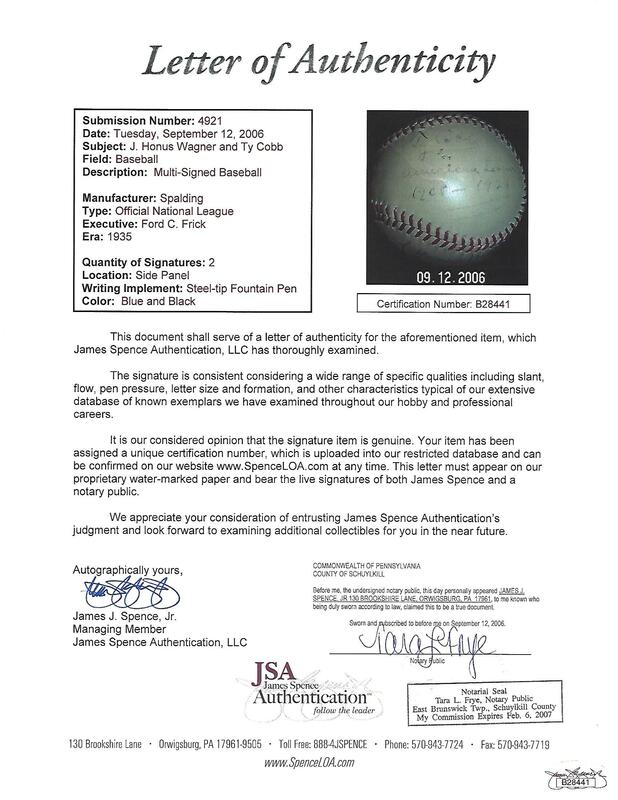 Additional notations such as these are very rare for both men, making this one of the finest Wagner/Cobb balls we have seen. Furthermore, it is elevated by superb accompanying provenance documentation. 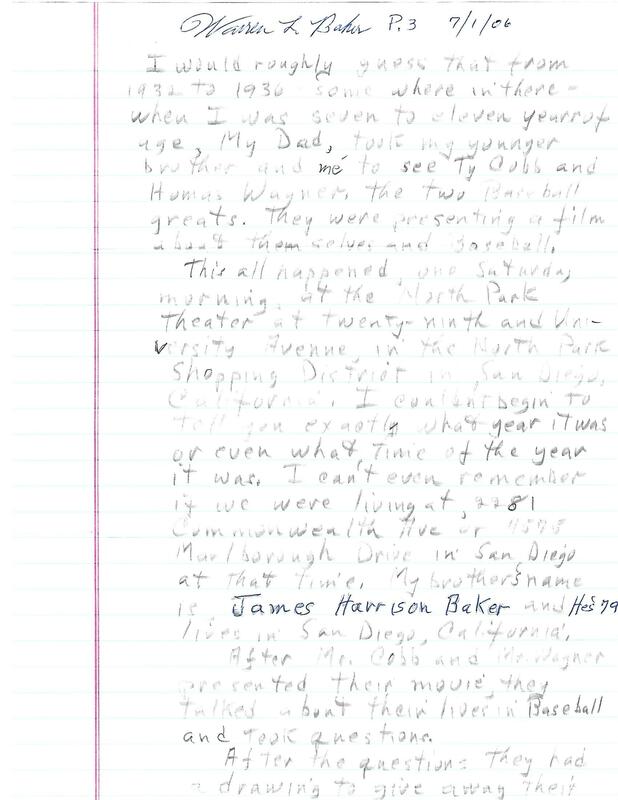 An accompanying two-page handwritten letter from the original owner recounts how he and his younger brother acquired the ball at a film presentation in San Diego during the 1930s attended by both Cobb and Wagner. 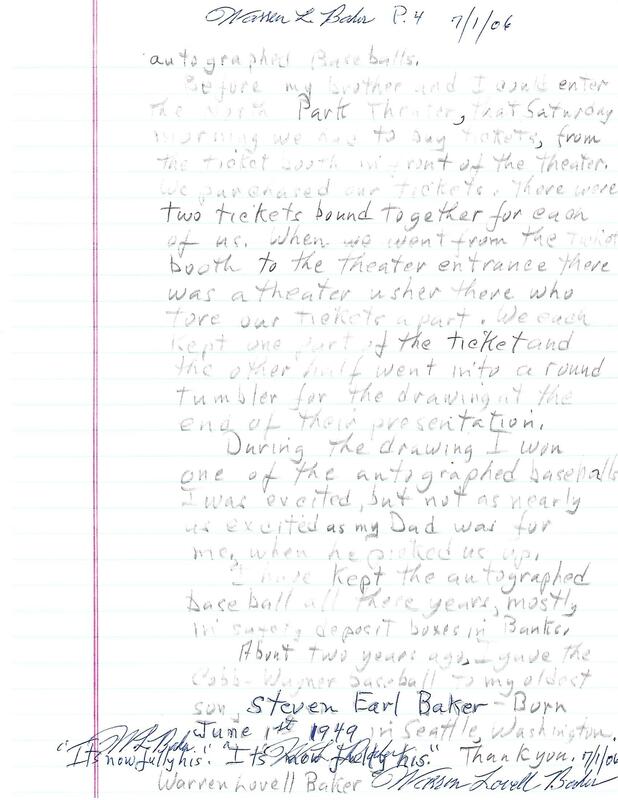 In addition to providing the specifics of his encounter, he notes in the letter how he took exceptionally good care of it throughout his life. Includes additional full LOA's from both PSA/DNA and JSA.